Sudan's ruling party lays down a series of conditions for holding a crucial referendum on southern secession. Sudan's ruling party on Tuesday laid down a series of conditions for holding a crucial referendum on southern secession that could further inflame tensions in the divided country. In addition to drawing up the potential borders between the two halves of the country, southern military units have to redeploy south of the 1956 border, Youth and Sports Minister Hajj Majid Suwar told the state news agency. North and south Sudan fought a brutal 21-year civil war, one of the bloodiest of the second half of the 20th century, with at least two million dead. The war ended with a 2005 peace agreement that stipulated a Jan. 9 referendum would be held on southern desires to secede. 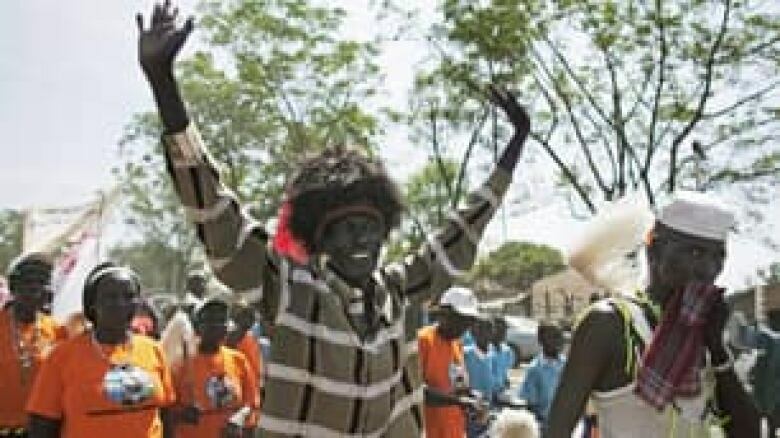 "They are just looking for a pretext of starting war," Lt. Gen. Kuol Deim Kuol, the spokesman for southern Sudan's military, said of the statement, while calling Suwar a "war monger." He maintained that southern forces had not moved since 2006 and none of them were in northern lands. The new conditions, which include calls for the south not to interfere with those campaigning for the unity of the country, could be interpreted by the southerners as a stalling tactic by a north reluctant to lose the oil-rich southern half of the country. Much of the boundary between the oil-rich south and the northern, Muslim-dominated government is undefined and contested — mainly because of the region's richness in resources. The south has called for the referendum to go ahead even if final borders are not agreed upon.